Wherever you choose to lay your head, the magic of the Columbia Wetlands Outpost will make a night spent amidst all this beauty feel like a weeks rest! 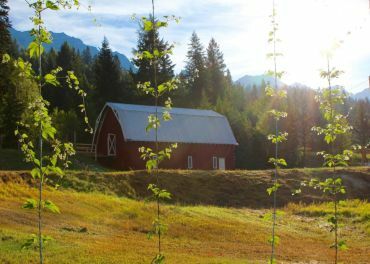 Whether you are a group looking for a luxury mountain lodge or a family looking for a fun camping experience on a working farm, we have something special for you. The beautifully restored Columbia Wetlands Outpost Lodge has breathtaking views in all directions and looks out over the extraordinary expanse of the Columbia Wetlands. Come and embrace an experience where history, nature, farming and comfort connect. Come & see what is brewing at our working farm. 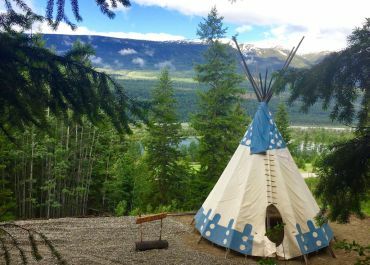 Beautiful canvas Tepee tents modelled on traditional Sioux designs are to be found in Mo’s Meadow at the Columbia Wetlands Outpost. Had an excellent stay at the Colombia Outpost Lodge. Great place to house a large family or group of friends. 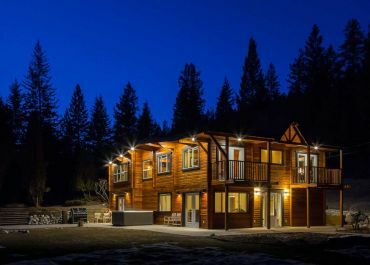 Easy to find, close to the ski hill, hiking trails and Golden. Would definitely recommend!